A captivating adventure story for fans of The Chronicles of Narnia and The Golden Compass. Something is wrong in the house Lin's family rented. The clocks tick too slowly. Frost covers the flowerbed, even in a rain storm. And when a secret key marked "Twistrose" arrives for her, Lin finds in a crack in the cellar and unlocks a gate to the world of Sylver. This frozen realm is the home of every dead animal who ever loved a child. Lin is overjoyed to be reunited with Rufus, the pet she buried under the rosebush. But together they must find the missing Winter Prince in order to save Sylver from destruction…and they’re not the only ones hunting for the Prince. Tone Almhjell received a master’s degree in English Literature from the University of Oslo and worked as a journalist before deciding to write fiction full-time. She lives in Oslo, Norway with her two wonderfully stubborn kids, a boy and a girl. 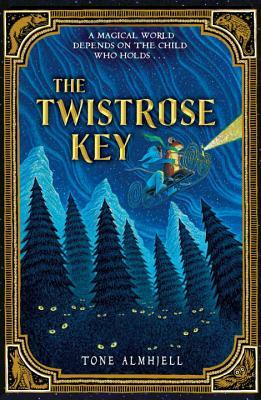 The Twistrose Key is her debut novel.